Each state in the union has wine writers living there and writing about their experiences, just as each state in the US has wine being produced by passionate wine people. 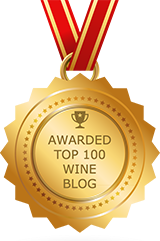 Just as each wine is as worthy as its creator’s intention, so is the same with wine writers… in each and every state of the union. 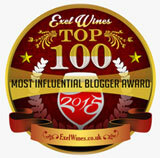 My traditional list of writers – pre wine bloggers – had me living within a comfortable list of people. They were – and still are – a group who have become collegial friends, upon whom I could – and still do – depend upon to take my calls and listen to whatever story had inspired me. One of my favorite people in Colorado is Harold Baer. He created and was the publisher, editor, owner of Colorado Wine News, until recently. Harold has sold his newsletter, at the urging of a friend, and has struck out on his own. This is why, when you see his Q&A below, and I ask about his job, he says, “No job.” Prior to immersing himself in the Colorado Wine News, Harold was an attorney. He’s lived an accomplished life, and is a very dear man. Tom Wark has referred to him as soft spoken. I completely agree. I love my phone conversations with Harold. We seem to get each other giggling, then he goes on in intimate detail to tell me about all the great wines he’s just tasted. He’s got a photographic memory for these kinds of notes. At this time, you can find stories written by Harold at VinoTasting, where he’s now Editor-in-Chief. His publisher is Wine Country International® magazine, a division of Wine Country Network, Inc, PO Box 6023, Broomfield, CO 80021 USA. 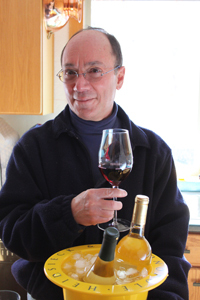 [Harold] A passion for wine and the chance for discovery: sensory, factual, and technical. 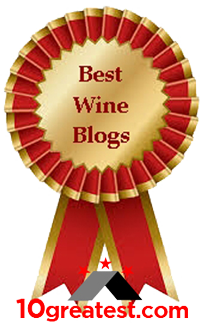 [Harold] The opportunity to learn about what is happening, the new trends, the vintners and their goals, and how and why wine complements (or doesn’t) food. [Harold] There are many more wines and wineries and the overall quality of the wines available worldwide has improved. There are fewer technically defective wines: at least if you don’t consider residual sugar in table wines to be a defect. Also, the appreciation for wine has changed considerably with greater availability of wines from around the world and more Americans and fewer Europeans drinking wine regularly. [Harold] I don’t know if I can choose only one. Perhaps you can select one between 1952 Mouton Rothschild, 1970 Beaulieu Georges de Latour, 1975 Ch. d’Yquem, 1975 Lisini Brunello, 1985 Krug, and 2001 Corison Kronos Cabernet Sauvignon. But even this selection is unfair to the many other fine and memorable wines I have had the opportunity to taste or drink. For examples: Wendouree, Crozer or Grange anyone? Or even Haak Madiera? [Harold] Sangiovese but, more realistically, my favorite is what best complements the meal. [Harold] The move by some vintners to more balanced, structured, less alcoholic wines. [Harold] Mature Brunello di Montalcino, Bordeaux or Cabernet Sauvignon and roasted chicken. [Harold] Travel, cooking, eating, reading in no particular order but dependent on time and place. [Harold] Those who are passionate but at the same time balanced, fair, charitable, and objective about what they do. [Q] For what would you like to be remembered? [Harold] Clarity, fairness, and objectivity in my writing. PULEEZE…does anyone know anyone in Colorado (or out) who has EVER received, or even SEEN an issue of Colorado Wine News??? Can you say ‘charade for free wine’? Well, Wick, I’ve been receiving it for years. 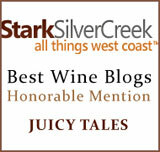 I’ve also had many vintners that have enjoyed their reviews and used them for support material… marketing purposes. Third party endorsements have helped build many a brand. It’s great if you can get a big dog at the top to instantly give a brand a high five… but that doesn’t happen for everyone right away. However, if you can accumulate several great endorsements, it helps to tell the story to interested retailers who might have an interest. Some of them feel only their palates should do the talking. Whatever floats the boat is what I’ve found. Everyone has value… I’m betting your mom knows yours, and is proud to tell anyone who will listen… including me. I think that’s what all the hubbub is about regarding everyone has a palate. @Wick- Yes, YES!, and No.